What, you may well be thinking, could James Franco possibly weird us out with next? “Oh, I’m gonna start freestyling librettos now.” “Oh, I’m launching a 1-800 fortune-teller line.” “Oh, I’m gonna break the world record for Ping-Pong dribbling and then I’m gonna write and illustrate a graphic novel about how breaking the world record in Ping-Pong dribbling made me sad.” Great, James. Great. But wait! No! Franco hasn’t run out of ways to be Franco — not quite yet. Showbiz411 is reporting that Franco is directing a feature adaptation of — oh, hell yes — William Faulkner’s famously fragmented As I Lay Dying. As The Playlist points out, this project has been rumored before, with the likes of Michael Shannon, Paul Dano, Richard Jenkins, and Joaquin Phoenix attached. This time it’s really happening, though. Shooting kicks off this October, in Mississippi, with a cast including Tim Blake Nelson, Logan Marshall-Green (Ryan’s brother on The O.C./The jerk doctor from Prometheus) and Kenny Mutherfuckin’ Powers himself, Danny McBride. Well then! Franco, you may not be surprised to learn, has actually directed a bunch of stuff. Most notably: the indie drama Sal, about Rebel Without a Cause actor Sal Mineo; behind-the-scenes SNL documentary Saturday Night; and art flick Francophrenia (Or Don’t Kill Me, I Know Where the Baby Is), which repurposed Franco footage from his stints on General Hospital. Considering the cast and source material, of course, this one should be getting a few more eyeballs. First of all, according to Showbiz, no one’s tried to make a Faulkner movie since Martin Ritt’s The Sound and the Fury in 1959. (Probably a wise choice, everyone everywhere since 1959!) And As I Lay Dying, in particular, seems impossible to faithfully adapt. The darkly funny novel tells a somewhat simple story — a screwed-up Southern family horribly bungles their dead mother’s last wish to be buried in a nearby town — in a big way: 15 characters take turns narrating, including, at one point, the mom, from the coffin. But here’s why I have faith this’ll work out. 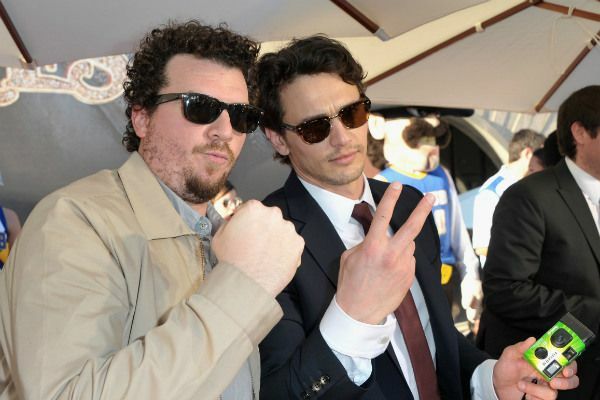 Franco, who’ll have a small acting part, is teaming up with Danny McBride for the first time since Your Highness — a movie pretty much everyone despised. As I’ll tell anyone who’ll listen, though, I loved Your Highness. One day, I promise you, it will be reevaluated and understood as the winky-so-dumb-it’s-well-not-smart-necessarily-but-at-least-self-aware comedy classic it is. And so now the McBride-Franco power team reunites. With Danny going dramatic. To do Faulkner. How exactly is Franco planning on pulling this off? I can’t wait to find out.